Your smile is what most people first notice about you, so you want it to make a good impression. Teeth that are discolored often have the opposite effect of what you want. Whitening products help to restore your teeth to a bright white shine, giving you a beautiful, confident smile. But there's more to it than applying the whitening products, and doing it wrong can have some detrimental effects. Here are some of the common whitening mistakes nearly everyone makes. 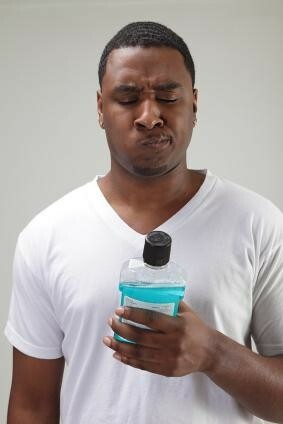 Using a whitening mouthwash, especially on its own, isn't going to provide you with the results you're looking for. And, because of its high alcohol content, it is most likely going to do more harm than good for your mouth. So, there's really no point in spending the money on it. If you're going the at home whitening route, chances are you've opted for whitening strips. The strips come with instructions on how to apply them and how long to use them on for. These instructions are not flexible guidelines; rather they should be strictly adhered to. Longer might seem better, but leaving whitening strips on too long can result in splotches on your teeth (which won't go away) and an increased sensitivity. If you're set on using whitening strips, follow the instructions and set a timer. Whitening products are not cheap, so it's easy to see the appeal of less expensive options. However, these options often come with another price: no FDA seal. That seal is there for a reason. Without it, you may be buying a product that contains chemical concentrations that can be harmful to your teeth. Take the time to check for the seal, and don't buy a whitening product without it. ]Whitening products are not a permanent solution. If you continue with your habits of smoking, or eating and drinking things that cause staining, you will quickly undo your newly white smile. Make the effort to maintain it. Avoid, or at least limit, staining foods and beverages. Drink a glass of water after consuming them. Drink staining beverages through a straw when possible. And don't forget to brush and floss. When done correctly, whitening can provide you with a beautiful white smile that you are proud to show off. For more information on whitening products and treatments, contact our office today.